The Student's Representative Council [SRC] of the Ghana School of Law, has called for the school's Independent Examinations Board to be scrapped, describing it as a threat to legal education in Ghana, after only 91 of the over 500 students passed the May exams in 2017. Protocol dictates that these students re-sit the exams, but the SRC has demanded that the results are scrapped, to allow the students to proceed with their six-month internship in March. “Tentatively, the statistics we have point to the fact that out of the over 500 students who sat for the exams, only 91 students passed in all 10 courses,” the school’s SRC President, Samuel Gyamfi told Citi News. He added that almost 300 students are to repeat the entire course, whilst 17o students would have to be referred. Describing the failures as “unprecedented”, Mr. Gyamfi said the demands of the Council were in service of future student batches. Mr. Gyamfi further advised the school to revert to the previous system of examining students, where lecturers assessed their own students. These calls come in the midst of the tensions between students and the Ghana Legal Council over the Legal Profession Regulations LI before Parliament. A group calling itself the Concerned Law Students, has threatened to seek redress at the Supreme Court if Parliament fails to withdraw the controversial Legal Profession Regulation. The Association of Law Students has also petitioned President Nana Akufo-Addo over the matter. 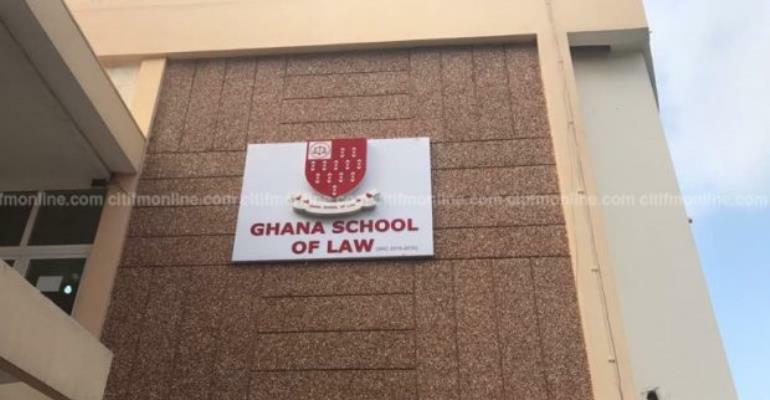 The regulation, which will determine qualifications procedure into the Ghana School of Law, has been met with fierce resistance from the law students. The students have described the LI as a deliberate attempt by the council to frustrate them in violation of their rights. But the General Legal Council, which oversees legal education in Ghana, has argued that the exams and interviews are to ensure higher standards in legal education.